Picture - Nakajima B5N2 "Kate" in flight. The Nakajima B5N (Japanese: 中島 B5N, Allied reporting name "Kate") was the standard torpedo bomber of the Imperial Japanese Navy (IJN) for much of World War II. While the B5N was substantially faster and more capable than its Allied counterparts, the TBD Devastator, Fairey Swordfish and Fairey Albacore, it was close to obsolescence by 1941. Nevertheless, the B5N operated throughout the whole war, due to the delayed development of its successor, the B6N. In the early part of the Pacific War, flown by well-trained IJN aircrews and as part of well-coordinated attacks, the B5N achieved particular successes at the battles of Pearl Harbor, Coral Sea, Midway, and Santa Cruz Islands. Although primarily used as a carrier-based aircraft, it was also used as a land-based bomber upon occasion. The B5N had a crew of three: pilot, navigator/bombardier/observer, and radio operator/gunner. 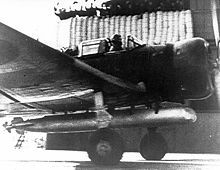 The B5N was designed by a team led by Katsuji Nakamura in response to a 1935 specification by the Navy for a torpedo bomber to replace the Yokosuka B4Y. Internally designated Type K by Nakajima, it successfully competed with the Mitsubishi B5M for a production contract. The first prototype flew in January 1937 and was ordered into production soon afterwards with the full designation Type 97 Carrier Attack Bomber (kanjō kōgekiki or kankō for short 九七式艦上攻撃機). 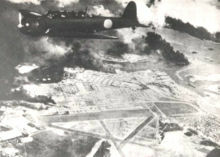 The B5N soon saw combat, first in the Sino-Japanese War, where combat experience revealed several weaknesses in the original B5N1 production model. These were mainly concerned with the lack of protection that the design offered its crew and its fuel tanks. Keen to maintain the high performance of the type, the Navy was reluctant to add weight in the form of armor, and instead looked to obtaining a faster version of the aircraft in the hopes of out-running enemy fighters. The B5N2 was given a much more powerful engine, and various modifications were made to streamline it. Although its performance was only marginally better, and its weaknesses remained un-remedied, this version replaced the B5N1 in production and service from 1939. Picture - Nakajima B5N2 "Kate". It was this version that would be used by the Navy in the Attack on Pearl Harbor. The B5N2 Kate carried Mitsuo Fuchida, the commander of the attack on Pearl Harbor. Apart from this raid, the greatest successes of the B5N2 were the key roles it played in sinking the United States Navy aircraft carriers Yorktown, Lexington and Hornet. The B5N served as the basis for a follow-on design, the B6N, which eventually replaced it in front line service. The B5N continued to fly in secondary roles, such as training, target towing, and anti-submarine warfare. Some of the aircraft used for this latter purpose were equipped with early radars and magnetic anomaly detectors. 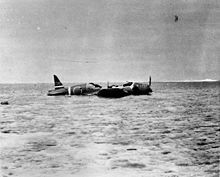 B5Ns were also used as bombers during the unsuccessful defence of the Philippines in October 1944. Later in the war, they were also used for kamikaze attacks. Altogether, around 1,150 were built; however, not a single complete example survived. A large portion of a B5N2 was recovered from the Kuril Islands by a British private collector in 2003. Replicas of the B5N2s were made from U.S. BT-13 Valiant training aircraft, which were modified to represent Japanese aircraft for the movie Tora! Tora! Tora!, and have been used in a number of movies and airshows since to depict the aircraft. B5N1-K:Many B5N1s were converted into advanced training aircraft. Picture - A B5N1 Kate parked in front of a hangar. Guns: 1 x� 7.7 mm Type 92 machine gun 'Ru' (Lewis) in rear dorsal position, fed by hand loaded drum magazines of 97 rounds. A number of B5N1s were equipped with 2 x� 7.7 Type 97 machine guns in the wings. Picture - Nakajima B5N2 Model 12 "Kate" over Hickam field, December 7, 1941. Francillon, Ren� J. Japanese Aircraft of the Pacific War. London: Putnam & Company Ltd., 1970. ISBN 370-00033-1.